Ever since the continuous migration movements across Europe started to increase throughout the course of 2015 we have been witnessing Europe’s incompetence to prevent a major humanitarian crisis. Instead of watching from afar the Pangaea Project has been actively showing humanitarian solidarity by providing refugees with basic necessities across Europe. Since last September Pangaea Project members have been involved in rescuing boats, cooking soup, distributing blankets, raising financial means, providing information, warmth, food and hope for tens of thousands of people. Trying to put a human face to the Balkan route, we have been witnessing the daily scenes along the Balkan route in Slovenia, Croatia, Serbia and on the Greek islands Lesbos and Chios. 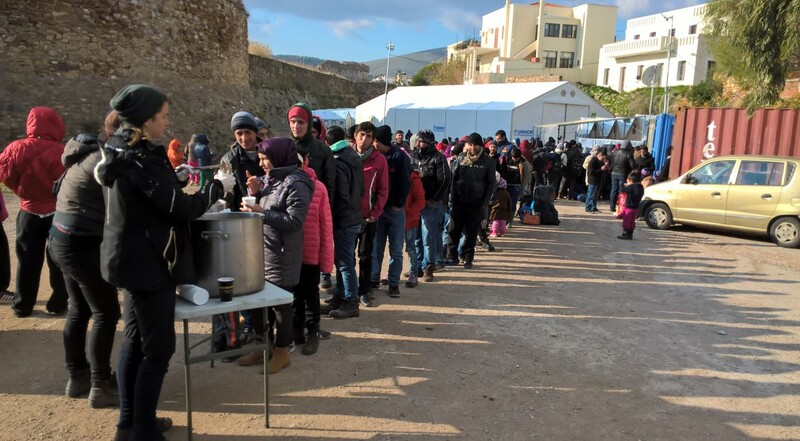 Particularly on Chios, we have been supporting the local Rescue Team throughout the winter months as well as setting up longterm infrastructures for daily food distributions. It has been fun, it has been tragic. The support we have been experiencing from people back home and the Pangaea Network has been incredible. With the refugee crisis in Europe only just at its beginning we will continue with our work throughout the summer. Given the scale of the crisis, you might expect significant professional support structures but for some unknown reasons — lack of resources, state resistance, EU immigration policy – there are severe shortcomings. Today there are people in need of basic humanitarian aid, and for as long as this remains the case with no acceptable political solution to this major humanitarian crisis we will continue with our revolution of compassion. While our work is limited to the material and financial donations we receive, we invite everyone to be part of this endeavour and donate their time, money and compassion! We rely entirely on donations from private individuals; the money raised is carefully used to mainly buy food, water, clothes and hygiene articles but also longterm investments such as cooking equipment, tents and other supplies needed by people on the run. We do not discriminate based on nationality, religion, gender, age, sexuality or socio-economic status but support people with the necessities required for them to survive another night. Donations are still very welcome, desperately needed and much appreciated. The associations donation account is pleased about donation of any kinds, which go 100% beyond borders. As cliche as it sounds, even the smallest amount already makes quite a difference. Account holder: Pangaea Deutschland e.V.